Feb 21--Funeral Services for Mr. Tyrone Noble of Frederick, Maryland, will be held on Saturday, February 23, 2019 at 11:00am at Resource for Life Christian Center in Soperton, with Reverend Melvin Womack of Warner Robins, Georgia officiating. Burial will follow in the Baker Cemetery, Soperton. Tyrone is the son of Stacey (Bri) Noble, and Valerie Noble. He was born on December 18, 1990 in Dublin, Ga, and passed away on February 8, 2019 in Frederick Maryland. He is a graduate of Treutlen High School, of Soperton, Ga, and was a member of Ambassadors For Christ Deliverance Center, in Virginia. He was preceded in death by his grandmother Ms. Chanie Moseley; grandfather, Johnny Noble, Jr; great grandmother, Ms. Julia Smith. He leaves to cherish loving memory: his wife Mrs. Rebecca Patterson Noble of Frederick Maryland; mother, Mrs. Valeria Noble, of Soperton, Ga, and his father, Mr. Stacey (Bri) Noble of Warner Robins, Ga; six sisters, Chaniqua, Arnesha, Stacia, Kayla Noble of Warner Robins, Ga, and Arnasia Cobb, Alexis Ricks of Soperton, Ga; father and mother-in-law, Joseph and Charlet Patterson of Canady; two aunts, Kennetha (Jonathan) Woods of Warner Robins, Ga, Kendra Moseley of Eutaw Alabama; three uncles, Orlando (Tabitha) Noble, Sequan Moseley of Soperton, Ga, and Kenneth Lewis, of Dublin, Ga; a host of cousins and friends. 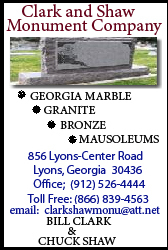 Baker Funeral Home is in charge of the arrangements.